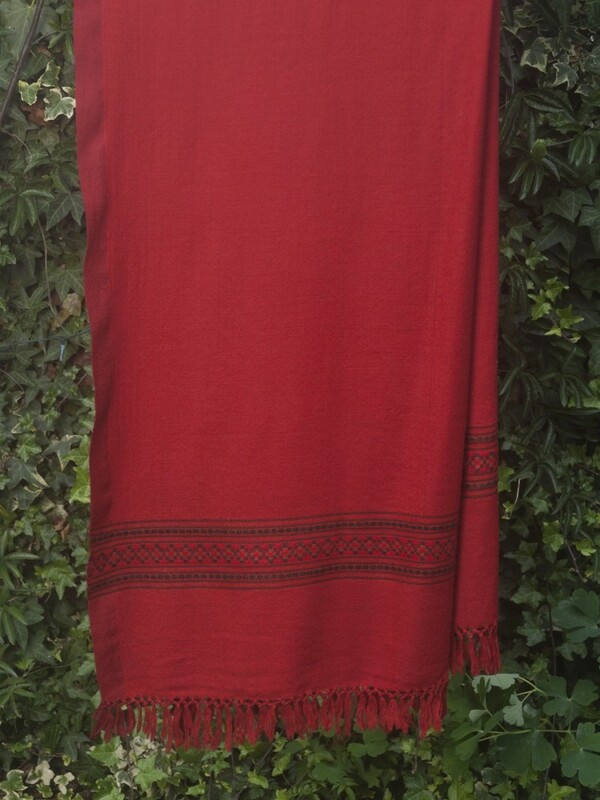 Rupini shawls are woven by men and women in self-help groups in the Kullu Valley. Known as the Valley of the Gods, this idyllic part of Himachal Pradesh is dotted with stone and wooden farmsteads, orchards and wild flower plateaus. Snowy peaks appear magnified in the crisp air - protection against which evolved the long tradition of handlooming woollens here. 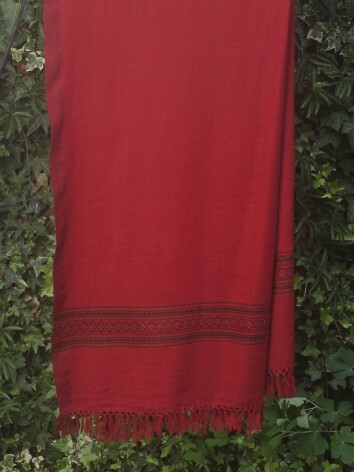 Rupini comes in diamond and plain weave. The weight of each shawl depends on the thickness and twist of the yarn. 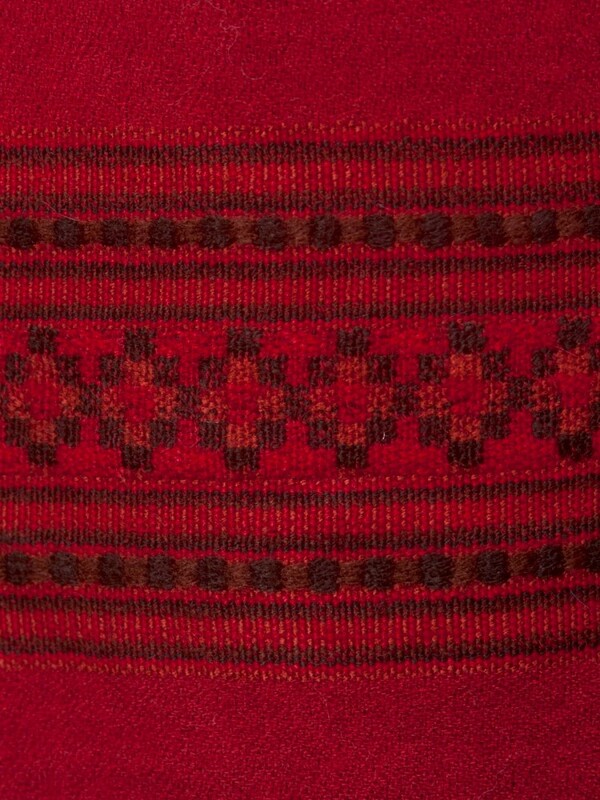 The striking geometric mofits reflect the ancient patterning of Kullu Valley textiles. 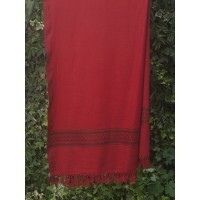 Rupini shawls can be dry cleaned or hand washed (30°C). Dry flat. Do not tumble dry. Dramatic, alluring...and chirpy! Discrete geometric designs are the only decoration in this shawl. 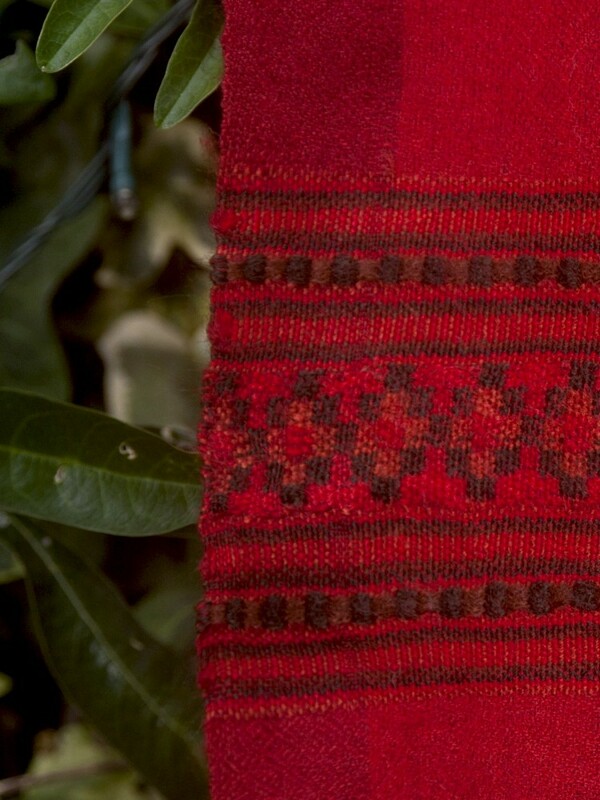 The tone of red and panel decoration is unique to each shawl.